We here at SolidBox value productivity above all in our applications and of course, our hardware. Each week, we’ll be giving you a tip to help you enhance your productivity with SolidWorks specifically. Sorry, we can’t help you with the hours you spend on Youtube each week watching cat videos. Nonetheless, hopefully you can learn something to make your SolidWorks experience easier. 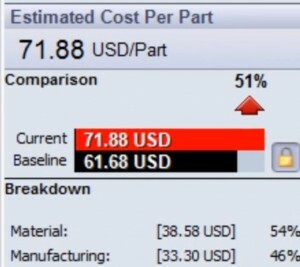 This week, we’ll focus on a function in SolidWorks 2013 that will be sure to enhance your productivity: Expanding Process Costing and API Support. Read the rest of this article including a short video showcasing these improvements included in SolidWorks 2013.